I had some leftover dried cranberries & white chocolate chips laying around and figured I would make some simple but delicious white chocolate cranberry cookies! It's seriously a super easy recipe and a crowd pleaser! Preheat oven to 350degF. Prepare a cookie sheet with aluminum foil. Soak dried cranberries in a bowl of warm water for 5-10 minutes. Drain water and set cranberries aside. In a large mixing bowl whip eggs, softened butter and vanilla together until fluffy. In a medium mixing bowl combine flour, baking soda, salt, oats, brown sugar, white sugar, cranberries and white chocolate chips. Slowly combine dry mixture with the eggs, butter and vanilla mixture until well incorporated. Drop tablespoon sized dough onto prepared sheet. Bake for 8-10 minutes or until edges are golden brown. 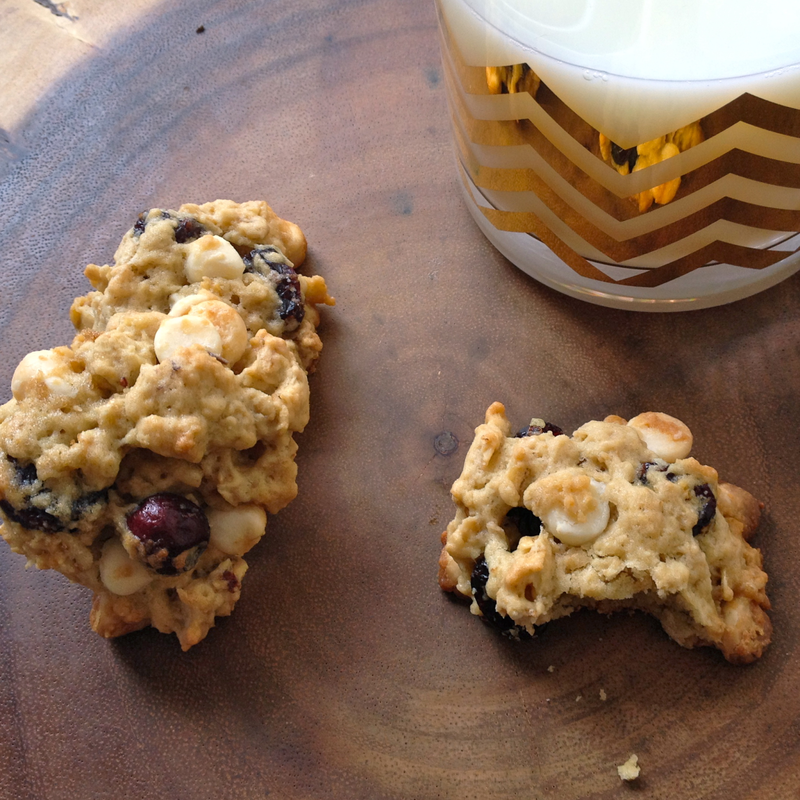 Let the cookies cool and enjoy with a cup of skim milk! An encouraging quote to start your week off..."To achieve a goal you've never achieved before, you must do things you've never done before." (Sean Covey) WOW! I don't know about you, but when I heard that this past weekend, I became so motivated to do so much more! I hope you all are dreaming up big goals and that this week you'll do something new! Those look amazing! I cant wait to try out the recipe, my fiance would devour these! Your Cookies look delicious! Thanks so much for sharing your awesome post with Full Plate Thursday, Hope you have a great week and come back soon! 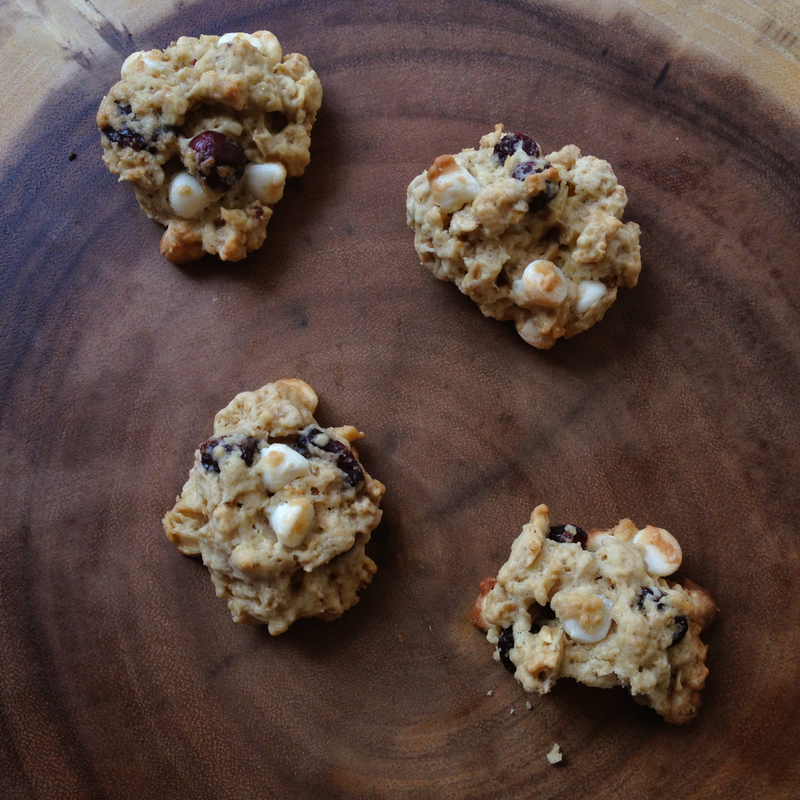 These White Chocolate Cranberry Oatmeal cookies look delicious right off the page! Thanks for the recipe! I will save it, to use when we are back around that time of the year again!!! These look so yummy that I had to pin it to make later! Thank you for the recipe. Looks very delicious. I love the TJ Maxx cutting board! That would be perfect for my kitchen! I love unique stuff like this!!! The best part about making oatmeal cookies is eating the raw dough!!! I must have eaten at least a whole log of dough over my lifetime!!! lol Yummy!!! I am so excited to make these. I have a daughter that LOVES cranberries, so this will be something she and I will make. Nice and easy recipe that I want to try. 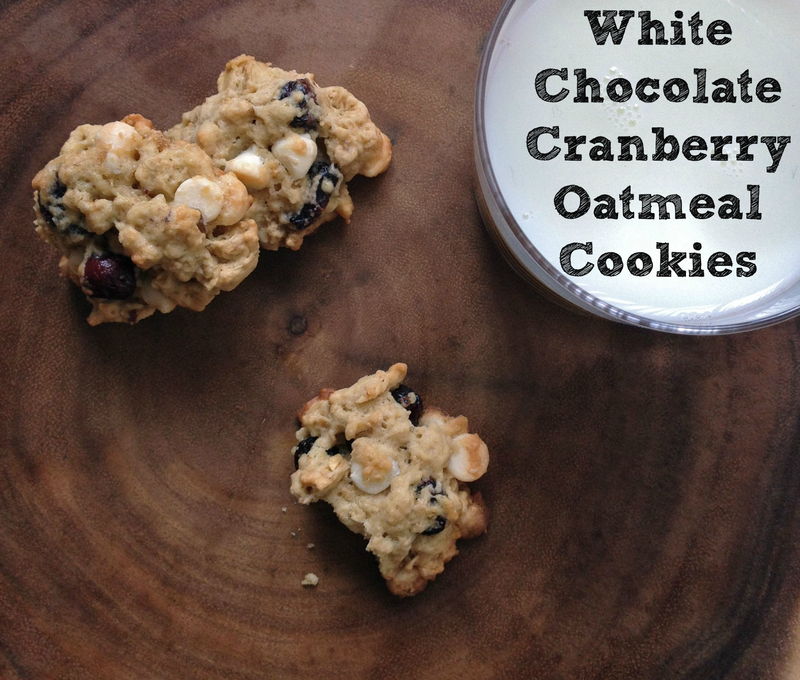 The Winter White Chocolate Cranberry Oatmeal Cookies look extra special and very delicious. I copied the recipe down to make this on the coming weekend. I thank you for sharing it with us today.